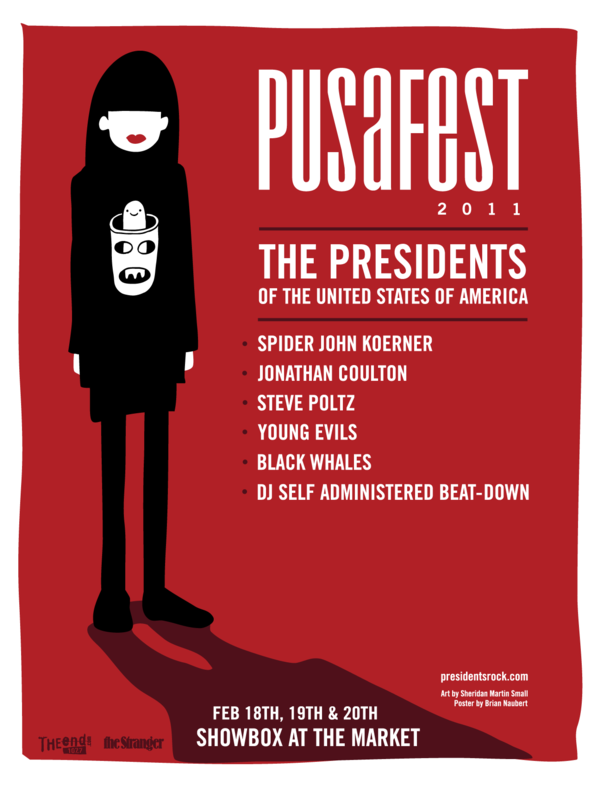 The Presidents of the United States of America take over the Showbox Market with PUSAFEST 11 starting tonight, Friday the 18th for three wonderful nights. The band’s got six albums under their belt, and their live shows are splendid. Friday and Saturday are sold out, but tickets are still available for Sunday’s show. A few openers are Black Whales (tonight – 21+) the Young Evils (Saturday – all ages) and Steve Poltz (Sunday – all ages). Written by: Dagmar on 02/18/2011. This entry was tagged posted by dagmar, Presidents of the United States of America, pusafest. Bookmark the permalink.